Get hands-on at this two-day immersive experience that brings together the Best of Healdsburg through interactive, creative and delicious activities in and around town. 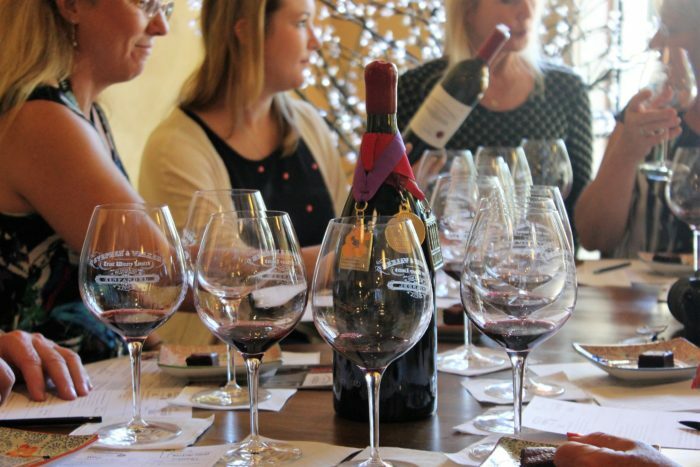 Taste and sip your way around downtown Healdsburg with Wine Country Walking Tours, learning about its rich agricultural history, visiting with notable chefs, makers and personalities, and appreciating Healdsburg's unique wine country style. Design the perfect floral centerpiece with Dragonfly Floral School as you learn techniques for natural arrangements and enjoy the ambiance of a beautiful 6-acre organic flower farm. Channel your "inner chef" with the team at Relish Culinary Adventures, creating a hearty dinner with seasonal ingredients and the farmer that grew them, and savor every bite with specially selected wines. Looking for lodging? Mention TasteMakers Tours when booking at Hotel Healdsburg, H2Hotel or the Dry Creek Inn for special offers. Please contact us to discuss private tour options. The Sonoma County Living Tour requires a minimum number of 8 participants, varying by tour. Maximum number of participants is 12. Full payment is required at the time of scheduling. Pay with PayPal online or contact us to pay with personal check or other credit card. Due to the integral nature of wine tasting experiences, the Sonoma County Living Tour is limited to adults over 21 years of age. If you're interested in an all-ages experience, please contact us to discuss a custom itinerary. Host businesses make every effort to operate the package as described. We reserve the right to change itineraries or substitute services of equal value without prior notice. Customer must agree to Terms of Service during the registration process.